While driving down Davis Boulevard over the past 20 years, you may have never known you were passing by one of the most well respected piano technicians in DFW. Dave Conte Piano Works specializes in all things piano, including the sale of new, high quality used, vintage, and period pianos in addition to the finest professional tuning and technical service in the region. Founder Dave Conte, a Registered Piano Technician, boasts an impressive resume having worked for the Dallas Symphony, Dallas Opera, Bass Performance Hall, Morton H Meyerson Symphony Center, and even musicians like BB King, Neil Diamond and Lyle Lovett, to name a few. But don’t let his remarkable portfolio intimidate you, Dave loves working for clients of all sizes. Walking into the back room of his business, you immediately sense Dave’s passion for his work. It’s like entering Gepetto’s workshop, but for pianos, filled with tools and parts that only an experienced piano aficionado can identify. Very few power tools can be found, since most of his work is done by hand. “My favorite work is done with sharp hand tools,” says Conte, “nothing has more zen than a nice hand tool to shape the wood.” He pays close attention to detail and specializes in improving a piano’s engineering and design by making modifications and enhancements during the rebuilding process. Surprisingly, while Conte is a musician, he wouldn’t call himself an accomplished pianist. His interest in pianos began at a young age when he sat in his grandparents’ basement and listened to the sounds of their piano. It wasn’t until later in life when a friend offered to sell him an old piano for $50, that he began researching pianos in hopes he could tune it on his own. Dave quickly realized that tuning a piano wasn’t as easy as he thought and he needed professional training. He began researching piano technician programs, which led him to an esteemed apprenticeship program through the University of North Texas. 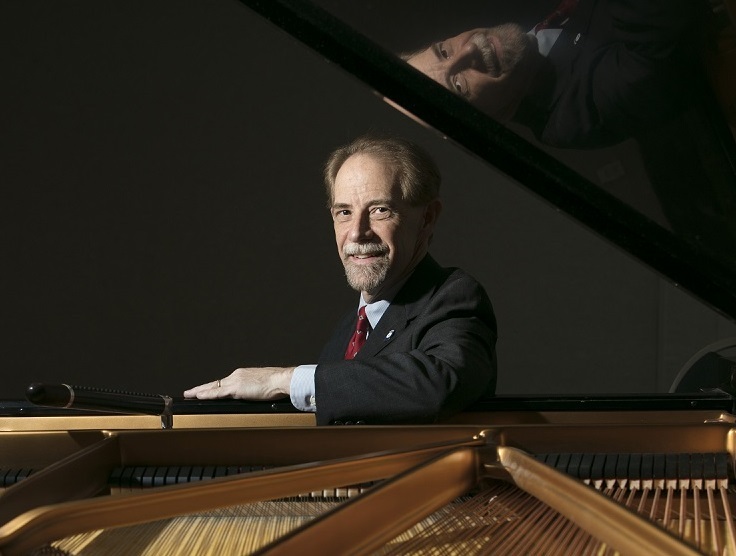 Conte graduated from the UNT College of Music Piano Technology Program, which entailed three years of full time course instruction following Steinway methods in the piano tuning, service and rebuilding fields. Early on, he realized he had a gift for the work and while there were many capable tuners and technicians performing good work, few performed at the level that could meet the most critical musical requirements and technical demands. This led him to focus on providing what others could not offer, going beyond “good” and providing exceptional quality craftsmanship. Dave began his business in his garage in 1993 and moved to a space off Davis Boulevard in North Richland Hills in 2003, opening his current storefront in 2015. It may seem like a peculiar location for such an elite, niche business, but the proximity to highways and vibrant, supportive community made it a great selection. Dave is an active member of the NRH community with involvement in the Northeast Tarrant Chamber and Smithfield Masonic Lodge, and he loves to give back to his profession. He developed and taught classes in piano technology at Tarrant County College and is currently searching for an apprentice. If you’re ever near his shop, stop in and take a look around. Dave would love to show you his latest project or introduce you to the beauty of a Petrof piano. Dave Conte Piano Works is located at 5205 Davis Blvd. Ste E. Check out his latest video on YouTube, or for more information, visit www.daveconte.com.